Maggie Carroll is the Policy Specialist at the United Nations Volunteers (UNV) in Bonn. She leads the Research and Policy Unit at UNV, responsible for organisational research and measurement projects, primarily around the contribution of volunteerism and civic action to the Sustainable Development Goals. Ms Carroll’s background is in humanitarian and development policy and programming for both non-government and government institutions. 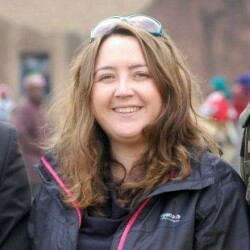 She has worked as a policy adviser for the UK government on international governance and social development issues, and fulfilled various field director positions for the international organisation Oxfam, including in Gaza and Rwanda.